Through October 2 – “A Gentleman’s Guide to Love and Murder” at the Peace Center in Greenville. This hit show was the 2014 Tony Award winner for Best Musical and is sure to make you laugh until you cry! For more information call (864) 467-3000 or visit http://www.peacecenter.org/events/detail/a-gentlemans-guide-to-love-murder. September 29 – Rock Out Hunger at Fluor Field in Greenville. Rock out to “Drivin’ and Cryin’” while enjoying craft spirit tasting from 10 of South Carolinas finest distilleries all to benefit Loaves and Fishes food pantry. For more information call (864) 232-3595 or visit http://loavesandfishesgreenville.com/roh/. September 29 – October 1 – “Nora’s House” at Center Stage Theatre at North Greenville University in Tigerville. This work is an experiential piece by the Executive Director and his students that deconstructs Henry Ibsen’s “The Doll House” for the contemporary audience. For more information call (864) 977-7085 or visit http://www.ngu.edu/theatre-season.php. September 29 – October 2 – Oktoberfest at NOMA Square on North Main in Greenville. Enjoy lots of live entertainment, bratwurst, beer, a stein holding competition, and much more! For more information call (864) 248-1658 or visit http://nomasquare.com/oktoberfest/. September 30 – Jammin’ for Genes at the Greenwood Genetics Center in Greenwood. Enjoy an evening of live entertainment and barbecue on the lawn with proceeds to benefit the Genetics Centers Foundation. For more information call (864) 941-8100 or visit http://www.ggc.org/jammin-for-genes.html. October 1 – Spartanburg International Festival at Barnet Park in Spartanburg. With over 75 different countries represented in the area, you are sure to have the chance to try a variety of new international foods as well as shop with international vendors. For more information visit http://www.cityofspartanburg.org/events/international-festival. October 1 – Race the Helix at the Greenwood Genetics Center campus in Greenwood. This is a 5K or a 1 mile walk/run to benefit the Genetics Centers Foundation. For more information call (864) 941-8100 or visit http://www.ggc.org/race-the-helix.html. October 1 – Greer Station Oktoberfest in downtown Greer. Enjoy German food, ales, and oompah bands! For more information call (864) 877-3131 or visit http://greerchamber.com/events/greer-station-oktoberfest/. October 1 – Belton Standpipe Heritage and Arts Festival on the Square in Belton. Enjoy a day filled with fun activities to include a 5K and a 1 mile run/walk, a car show, live entertainment, historic mule drawn wagon rides, fire truck rides, food vendors, craft vendors, and much more. For more information call (864) 338-8556 or visit http://beltonalliance.com/standpipe-heritage-and-art-festival/. October 1 – 2 – “What Scares You” at the Gunter Theatre. This is a unique, Halloween inspired ballet by the Dance Theater of Greenville. For more information call (864) 467-3000 or visit http://www.peacecenter.org/events/detail/what-scares-you. October 1 – 2 – Aunt Het Annual Quilt Show at the Fountain Inn Activity Center in Fountain Inn. View some of the most beautiful quilts in the area in addition to vendor booths, a boutique, a silent auction, and more. For more information call (864) 905-6486 or visit http://ntquiltguild.com/quilt-show.html. October 3 – 8 – South Carolina Foothills Heritage Fair on Hwy. 123 between Seneca and Westminster. You’ll enjoy amusement rides, livestock shows, live entertainment, a baking contest, and much more! For more information call (864) 280-1944 or visit http://carolinafoothillsheritagefair.org/. October 5 – Good News Club Golf Classic at The Cliffs at Mountain Park in Travelers Rest. This is a foursome tournament with four shotgun starts on three premier courses in the Upstate. For more information call (864) 292-5842 or visit http://www.cefgreenville.com/golf/. October 6 – “Ron White” at the Peace Center Concert Hall in Greenville. Enjoy an evening filled with laughter with this famously hilarious comedian. For more information call (864) 4667-3000 or visit http://www.peacecenter.org/events/detail/ron-white-1. October 6 – 8 – Albino Skink Music Festival at 4063 Jordan Road in Greer. The event will include in addition to the amazing lineup, a bike race, kids activities, vendors, food and beverages. For more information email info@albinoskunk.com or visit http://albinoskunk.com/. October 6 – 8 – Moonshiners Reunion and Mountain Music Festival at the Plum Hollow Farm in Campobello. This is a weekend not filled with moonshine, but with tales of moonshiners of bygone years and lots of fun and live entertainment. For more information visit http://www.moonshiners.com/festivals/moonshiners-reunion. October 7 – 9 – Oktoberfest presented by the Greenville Symphony Orchestra at the Gunter Theater. This annual concert will be the very best of German chamber music. For more information call (864) 467-3000 or visit http://www.peacecenter.org/events/detail/oktoberfest-2. October 7 – 9 – Balloons Over Anderson at the Civic Center of Anderson. If you’ve never seen up close or even ridden in a hot air balloon, this is a festival you don’t want to miss. For more information call (864) 221-0552 or visit http://www.balloonsoveranderson.org/. October 7 – 9 – “Green Valley: Mansions to Modern” Symphony Tour of Homes in the Green Valley are of Greenville. You will see everything from an elegant mansion to a modern energy efficient home. For more information call (864) 370-0965 or visit http://www.guildgso.org/tour-of-homes/. October 8 – Dancing with the Carolina Stars at the TD Convention Center in Greenville. This is a fun night of local celebrities dancing with professional dancers to win the prize as the best dancers, with proceeds to benefit Senior Action. For more information visit http://dancingwiththecarolinastars.com/more-info/. October 8 – Pynkalycious at the Nirvana Cultural Center in Fountain Inn. This cancer awareness event will include complimentary massages, food and desserts, outdoor activities, indoor activities, live entertainment, Zumba, survivor stories, and more! For more information call (864) 862-6797 or visit http://www.chapmanfoundation.com/pynkalycious-south-carolina/. October 8 – Fall for All Festival at Roberts Presbyterian Church in Anderson. This event will include a country corner café, a breakfast bar, a bargain barn, entertainment, kids activities, and much more! For more information call (864) 225-9950 or visit http://www.robertspresbyterian.org/. October 8 – Pumpkin Festival at the Oolenoy Community House in Pumpkintown. Fill your day with a parade, delicious food, entertainment, and of course purchase your pumpkins! For more information call (864) 420-7634 or visit http://pumpkintownfestival.org/home. October 8 – Super Hero Science at the Roper Mountain Science Center in Greenville. Visit with some superheroes, visit the Storm’s Weather Lab, play Hawkeye Archery, participate in a Superhero costume contest, and so many more fun activities! For more information call (864) 355-8900 or visit https://www.ropermountain.org/Upload/uploads/Second_Saturday_Superhero.pdf. October 10 – Not a Traditional Golf Outing at the Chanticleer Golf Course in Greenville. Event will be a Color Ball Texas Scramble followed by a post-round fiesta with live entertainment. For more information visit http://hawkinsfoundationgolf.com/. 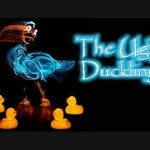 October 10 – 12 – “The Ugly Duckling” at the Gunter Theater. From Americas Got Talent, the amazing Lightwire Theater is presenting two favorite children’s stories to the stage in unique display of colorful lights, sound, and movement. For more information call (864) 467-3000 or visit http://www.peacecenter.org/events/detail/the-ugly-duckling-and-the-tortoise-and-the-hare-1. October 10 – 16 – Piedmont Interstate Fair at the Spartanburg County Fairgrounds in Spartanburg. Enjoy a weekend filled with amusement rides, live entertainment, fun shows, elephant rides, tasty food, and so much more! For more information call (864) 582-7042 or visit http://piedmontinterstatefair.com/. October 14 – 15 – “Those Crazy Ladies in the House on the Corner” at the Oconee Community Theater in Seneca. This entertaining play will keep you laughing when Doc Lomax, who has three geriatric sisters as patients who are driving him crazy, decides to get them a roommate . . . a live-in nurse! For more information call (864) 882-1910 or visit http://www.oconeetheatre.org/shows.html. October 14 – 16 – Fall for Greenville on Main Street in Greenville. This alfresco affair will include 40 restaurants providing a smorgasbord of more than 250 foods that will make your mouth water, with live entertainment, and even cooking demonstrations. For more information call (864) ­­­­­467-6667 or visit http://www.fallforgreenville.net/. October 15 – Theresa Caputo Live at the Bon Secours Wellness Arena in Greenville. From the hit show Long Island Medium she will provide you with personal stories of her life and how her talent works. For more information call (864) 241-3800 or visit http://www.bonsecoursarena.com/events/detail/theresa-caputo-live. October 15 – Storytelling Festival at the Hagood Mill Historic Site and Folklife Center in Pickens. This will be a day filled with stories that will mesmerize you, make you laugh, make you wonder, and flat out entertain you! For more information call (864) 898-2936 or visit https://www.visitpickenscounty.com/event/1485/storytelling-festival-at-hagood-mill/. October 15 – Church Bazaar and Bake Sale at McCormick United Methodist Church in McCormick. Enjoy fresh baked items and start your holiday shopping by finding that one of a kind gift. For more information call (864) 391-8048 or visit http://mccormickumc.org/calendar. October 16 – 20 – Starbursts Story Telling Festival: Celebration of Edgar Allen Poe at the Anderson County Library in Anderson. If you enjoy a good story, then stop by the Library and enjoy a tale by one of the visiting storytellers. For more information call (864) 260-4500 or visit http://www.andersonlibrary.org/events/special-events/. October 17 – 18 – “Twelfth Night” at the Gunter Theater. This goofy comedy ridden Shakespearian story is filled with love, loss, pranks, and colorful characters. For more information call (864) 467-3000 or visit http://www.peacecenter.org/events/detail/twelfth-night. Through September 30 – “Where We Are Now” Exhibit at the Arts & Heritage Center of North Augusta. This is a showcase of three local artists Jill Stafford, Lala Mulherin Streett, and Lou Ann Zimmerman. For more information call (803) 441-4380 or visit http://www.artsandheritagecenter.com/common/content.asp?PAGE=367. Through September 30 – Clay Artist of the Southeast Exhibit: “A CASE of Humor” at the Arts & Heritage Center of North Augusta. CASE is a group of clay artists who meet regularly and use a variety of techniques with clay. For more information call (803) 441-4380 or visit http://www.artsandheritagecenter.com/common/content.asp?PAGE=367. Through October 2 – Sumter County Fair at the Sumter County Fairgrounds. Enjoy livestock shows, art shows, flower shows, ride amusement rides, eat fun fair food, and much more! For more information call (803) 775-5200 or visit http://www.sumterfair.com/. Through October 31 – Andrea Smith Exhibit at the Aiken County Visitors Center in Aiken. For more information call (803) 642-7557 or visit http://www.discoveraikencounty.com/. September 29 – Taste of Clarendon at Cypress Center in Manning. Enjoy foods and beverages from local restaurants in the area. For more information call (803) 435-4405 or visit http://clarendoncounty.com/calendar.php. September 29 – October 1 – Evening of Short Plays Fall at the Etherredge Center in Aiken. For more information call (803) 641-3305 or visit http://eventful.com/aiken/events/evening-short-plays-fall-/E0-001-094583033-4@2016093019. September 30 – BBQ, Bluegrass, and Blue Jeans at The Farm in Ridgeway. Enjoy an evening of good food, good music and beverages, as well as a live and silent auction all to benefit Fairfield Memorial Hospital. For more information call (803) 608-5510 or visit http://fairfieldchamber.sc/m/events/view/BBQ-Bluegrass-Blue-Jeans-2016-02-23. September 30 – October 1 – Rock Around the Clock Festival in downtown Winnsboro. Enjoy a weekend of live entertainment, dancing, food vendors, arts and crafts, children’s amusements, a car and truck show, and more. The event will begin with a parade and a street dance on Friday with , For more information call (803) 635-4242 or visit http://fairfieldchamber.sc/m/articles/view/Rock-Around-the-Clock-Festiva. September 30 – October 8 – Fall Festival at the Bull Durham Center in Estill. The event will include a pageant, a walk-a-thon, a parade, a street dance, fireworks, and so much more! For more information call (803) 625-3243 or visit http://www.townofestill.sc.gov/bulldurhamcenter/Pages/index.aspx. October 1 – Hamfest at the New Kirk Baptist Church in Rock Hill. For all you Ham Radio operators out there, this one is for you! For more information call (803) 230-5305 or visit http://ycars.org/YCARS/2016_Rock_Hill_Hamfest.html. October 1 – Advanced Oktoberfest Horse Trials at Stable View in Aiken. Come out and watch or even compete in the new advanced competition offering more than $60,000 in prizes, with $15,000 in prizes being awarded to the winners of the novice and preliminary divisions. For more information call (484) 356-3173 or visit http://stableviewfarm.com/. October 1 – Aiken County Migration Count at Kathwood Ponds at Silver Bluff in Aiken. Participate in this annual event to help identify the variety and number of birds that pass through this area of South Carolina. For more information call (803) 215-1594 or visit http://augustaaikenaudubon.org/fieldtrips.html. October 1 – Science, Education Enrichment Day (S.E.E.D.) at the University of South Carolina campus in Aiken. This day will be filled with every possible topic you can imagine. Learn about everything from astronomy to beekeeping or find an interactive activity to participate in such as manning a championship robot. This is an event you do not want to miss as there is something for everyone! For more information call (803) 641-3313 or visit http://rpsec.usca.edu/SEED/. October 1 – Sassafras Festival at Sassafras Park in Burnettown. Event will include a carnival, a car show, touch-a-truck, food, and craft vendors. For more information call (803) 593-2676 or visit http://www.tbredcountry.org/common/content.asp?CONTENT=12022&PAGE=311. October 1 – St. Mary’s Chocolate Festival at St. Mary Help of Christians Catholic Church in Aiken. Enjoy baked goods, international foods, games for all ages, plants for sale, and more! For more information call (803) 649-2071 or visit http://www.tbredcountry.org/common/content.asp?CONTENT=12021&PAGE=311. October 3 – 9 – Orangeburg County Fair at the Orangeburg County Fair Grounds in Orangeburg. Enjoy live entertainment, competitions, amusement rides, fair food, and more! For more information visit http://www.orangeburgcountyfair.org/. October 4 – Hickory Hill Milk Fall Festival & Dairy Tour at the Hickory Hill Farm in Edgefield. Enjoy live entertainment and food vendors, as well as horse drawn wagon tour of the farm while learning about the art of dairy farming and a corn maze. For more information call (803) 480-3312 or visit https://www.facebook.com/events/173336403073297/. October 5 – Southern Sound Series Announcement and Kick-Off at the McCelvey Center’s Lowry Family Theater in York. This event will introduce the line-up for the coming year, with a performance from Carolina Piedmont singer/songwriter David Childers and his band, “The Serpents”. For more information call (803) 684-3948 or visit http://chmuseums.org/event/2113/. 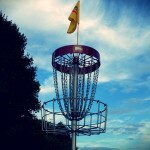 October 5 – 8 – United States Disc Golf Championships at the Winthrop University Golf Course in Rock Hill. This big event has come to South Carolina and you don’t want to miss it! For more information visit http://usdgc.com/. October 6 – 9 – Carolina Downhome Blues Festival at the Fine Arts Center of Kershaw County in Camden. Enjoy a fun filled weekend at this award-winning event which will provide you with entertainment by Blues artists from around the world. For more information call (803) 425-7676 or visit http://discoversouthcarolina.com/products/2107. October 8 – Fall Car Show at 150 Fairfield Street in Aiken. Enter your car of just come out and see the awesome cars, with the top 40 to win a trophy with all proceeds to benefit the Knights of Columbus and the wonderful individuals and charities they serve. For more information call (803) 663-1777 or visit http://carolinathunderracing.com/Car_Show.php. October 8 – Newberry Harvest Festival at the Enoree River Winery in Newberry. This fun filled event will include the tasting of 10 local wines in a souvenir wine glass, live music, food truck vendors, and arts and crafts vendors. For more information call (803) 276-2855 or visit http://enoreeriverwinery.com/?page_id=715. October 8 – Atomic City Festival in downtown New Ellenton. Enjoy carnival rides, live entertainment, good food, fireworks, and more! For more information call (803) 652-2019 or visit https://www.facebook.com/newellentonatomiccityfestival. October 8 – Fall Family Farm Day at Old McCaskill’s Farm in Rembert. Enjoy a day filled with farm animals, farm activities, and fun! For more information call (803) 432-9537 or visit http://www.oldmccaskillfarm.com/. October 8 – Pokemon Go Lure-A-Thon 2 on Main Street in Sumter. Enjoy a fun filled day of Pokemon, as well as Ray’s Hobbies Toy & Comic Convention, as well as Pokemon movies at the Sumter Opera House. For more information call (803) 436-2616 or visit http://sumtersc.gov/pokemon-go-lure-a-thon-20-2016-10-08. October 11 – Hickory Hill Milk Fall Festival & Dairy Tour at the Hickory Hill Farm in Edgefield. Enjoy live entertainment and food vendors, as well as horse drawn wagon tour of the farm while learning about the art of dairy farming and a corn maze. For more information call (803) 480-3312 or visit https://www.facebook.com/events/173336403073297/. October 11 – 13 – Weekdays on the Water: Santee Locks and Lake Tour at Santee State Park in Santee. Experience the marvel of moving from Lake Marion to Lake Moultrie through the Tailrace Canal as well as enjoying two nights in the Parks beautiful cabins. For more information call (803) 854-2408 or visit http://discoversouthcarolina.com/products/10004434. October 11 – February 26, 2017 – “Wild Fabrications” and “Nature’s Tapestries” at the Museum of York County in Rock Hill. Enjoy stitched creations of textile artists from around the world, as well as quilted masterpieces by Rock Hills own Dottie Moore who has blended her love of quilting with her love of nature. For more information call (803) 329-2121 or visit http://chmuseums.org/event/2090/. October 14 – “The Legendary Soul Stirrers” at the Sumter Opera House in Sumter. Enjoy an evening by the first gospel group to be inducted into the Rock and Roll Hall of Fame. For more information call (803) 436-2616 or visit http://www.sumtersc.gov/season-schedule. October 15 – TriSumter Triathlon at the City of Sumter Aquatic Pool in Sumter. In this event participants will swim 300 yards in a heated pool, bike 16 miles, and run 3.1 miles (5k). For more information call (803) 436-2500 or visit http://www.sumtersc.gov/aquatics-trisumter-triathlon. October 15 – Oktoberfest in Old Town in Old Town Rock Hill. Enjoy a day filled with German food, beverages, entertainment including a Weiner Dog Race, live music, kids inflatables, and more! For more information call (803) 329-8756 or visit http://onlyinoldtown.com/do/featured/33/oktoberfest-in-old-town. October 15 – Civil War Medicine at Rivers Bridge State Historical Site in Ehrhardt. Learn about medicine during the Civil War from Mr. Dan Smoot. For more information call (803) 267-3675 or visit http://www.southcarolinaparks.com/riversbridge/introduction.aspx. October 15 – Spirits and Stories: Brattonsville by Twilight at Historic Brattonsville in McConnells. Enjoy wagon rides, historic harvest demonstrations, hand-on activities, and enjoy a candlelight tour along the Huck’s Defeat Battle Trail where you will encounter spirits who will tell you about Captain Huck. For more information call (803) 684-2327 or visit http://chmuseums.org/event/2074/. October 15 – Millford’s 175th Anniversary Celebration at Millford Plantation in Pinewood. Fill your day with live entertainment, a barbecue picnic, play games, tour the gardens, and a tour one of the finest examples of Greek Revival architecture in the Country. For more information call (212) 369-4460 or visit http://classicalamericanhomes.org/bbq-picnic-to-celebrate/. October 15 – Snakes in the Carolina Coastal Plain at Lee State Park in Bishopville. Learn about the good snakes and those to beware of during this special presentation. For more information call (803) 428-4988 or visit http://southcarolinaparks.com/products/10004435. October 15 – 16 – Colonial Times: A Day to Remember at the Living History Park in North Augusta. Find out what daily life was like for the first settlers of the area with demonstrations of spinning, quilting, meat curing, blacksmithing, and more. For more information call (803) 279-7560 or visit http://www.colonialtimes.us/events.html. October 18 – Hickory Hill Milk Fall Festival & Dairy Tour at the Hickory Hill Farm in Edgefield. Enjoy live entertainment and food vendors, as well as horse drawn wagon tour of the farm while learning about the art of dairy farming and a corn maze. For more information call (803) 480-3312 or visit https://www.facebook.com/events/173336403073297/. Mondays – Coastal Kayaking at Huntington Beach State Park in Murrells Inlet. Enjoy some salt water kayaking on the marsh of this beautiful State Park. For more information call (843) 235-8755 or visit Error! Hyperlink reference not valid.. Through October 2 – Myrtle Beach Bike Week Fall Rally in Murrells Inlet and Myrtle Beach. Enjoy a week filled with lots of fun and entertaining activities! For more information call (336) 643-1367 or visit http://www.myrtlebeachbikeweek.com/events/fall-rally/. Through October 3 – Abstract Imagination – 1st Friday Exhibit at Beaufort River Glass in Beaufort. This exhibit by Becky Marshall is a series of abstract paintings reflecting her years as a children’s art teacher and her love of the Low Country. For more information call (843) 379-5445 or visit http://www.beaufortriverglass.com/pages/events. Through October 15 – Festival of Music and Art at the Reserve Golf Club on Pawley’s Island. Throughout the event you will be able to enjoy a variety of live entertainment and visual arts that will mesmerize you. For more information call (843) 626-8911 or visit http://pawleysmusic.com/. Through November 30 – Charleston Farmers Market in Marion Square in downtown Charleston. You will find fresh produce, herbs, crafts, freshly made breakfast items, live entertainment and more. For more information call (843) 724-7309. September 29 – Music on Main: “Hip Pocket Band” at the Horseshow in North Myrtle Beach. Fill your evening with some fun and enjoyable live entertainment. For more information call (843) 280-5570 or visit http://parks.nmb.us/festivalsevents/concerts/music-on-main-concert-series/. September 29 – October 1 – St. Johns Greek Festival at St. John the Baptist Green Orthodox Church in Myrtle Beach. Enjoy a weekend filled with lots of good Greek food, live entertainment, and good fun! For more information call (843) 348-3773 or visit http://www.stjohn-mb.org/greek-festival-2016. September 29 – October 1 – Gopher Hill Festival on Main Street in Ridgeland. The event will include a parade, magic, live entertainment by an Eagles tribute band, “On the Border” and the “Carolina Rebels Bluegrass Band”, food, and much more! For more information call (843) 258-4008 or visit http://www.gopherhillfestival.org/. September 29 – October 9 – MOJA Arts Festival at a variety of locations around Charleston. This celebration of African American and Caribbean art, to include dance, literary art, music, theater, and visual arts. For more information call (843) 724-7305 or visit http://www.mojafestival.com/home/. September 30 – Great Gatsby Gala at the Summerville County Club in Summerville. Enjoy heavy hors d’oeuvres, open bar, and live entertainment with proceeds to benefit the Dorchester Children’s Center. For more information call (843) 875-1551 or visit http://www.dorchesterchildren.org/index.php/events/kitchen-tour. September 30 – October 1 – Beaufort Shrimp Festival at the Henry C. Chambers Waterfront Park in Beaufort. Up to 15 different local restaurants will be presenting their best shrimp dishes and competing for the Silver Cup Award and be sure to vote for your favorite. For more information call (843) 525-6644 or visit http://www.downtownbeaufort.com/beaufort-shrimp-festival. October 1 – St. Peter’s Fall Bazaar at St. Peter’s Catholic Church in Beaufort. Begin your holiday shopping at this amazing bazaar with international foods, gift baskets, plants, jewelry, and more, in addition to a silent auction, a raffle, and a white elephant. For more information call (843) 522-9555 or visit http://www.stpeters-church.org/bazaar/. October 1 – Live Oak Art & Music Fest at the Horry County Courthouse in Conway. This is a community celebration of Creativity and will include lots of live entertainment, artists, and food vendors. For more information visit http://www.createconway.org/live_oak_art_music_fest. October 1 – Conway Fall Festival in downtown Conway. Event will include a variety of live entertainment, arts and crafts, a classic car show, a kids zone, food, and downtown shopping and dining. For more information call (843) 248-1700 or visit http://www.conwayparksandrecreation.com/fallfestival.html. October 1 – Hope for Healing Walk at the North Charleston Football Stadium in North Charleston. This 1.5 mile walk will be followed by live entertainment, food, and kids activities with all proceeds to benefit the free medical clinic for the uninsured, the Dream Center Clinic. For more information call (843) 225-1132 or visit https://secure.ministrysync.com/ministrysync/event/website/home/?e=12316. October 1 – Burgers and Brews Festival at Shelter Cove Community Park on Hilton Head Island. A number of local restaurants will compete for the best slider burgers and there will be more than 20 craft brews for you to wash them down with. For more information visit http://www.islandreccenter.org/community-events/burgers-brew-festival. October 1 – Showdown on the Square Chili Cook-Off at the Darlington Public Square in Darlington. Enjoy the weekly Market on the Square with produce, plants, music, and more, followed by taste testing a variety of chili and see which one is your favorite! For more information call (843) 398-4000 or visit https://www.facebook.com/events/148760222166209/. October 1 – Breaking Free 5K and 15K Walk/Run at Trinity Presbyterian Church in Florence. This walk run event is to raise awareness about the prevalence and negative impact of domestic violence and to raise money for much needed services for victims and their families. For more information call (800) 237-1820 or visit http://peedeecoalition.org/event/breaking-free-4th-annual-5k-15k-walk-run/. October 1 – Fall Rollout at the Georgetown County Airport in Georgetown. Enter your car or just pay a visit to view some of the most amazing cars in every class! For more information call (843) 457-9621 or visit http://www.thefallrollout.com/. October 1 – Sea Pines Fundraising Gala: “Seasons of Life” at Sea Pines Country Club on Hilton Head Island. Enjoy guest speakers, a meet and greet, dinner, and an auction. For more information call (843) 689-2222 or visit http://www.pregnancycenterhhi.org/events/. October 1 – Isle of Palms Connector Run on Palm Boulevard on the Isle of Palms. This 5K and 10K event is for the healing and prevention of child abuse in the Charleston area. For more information visit http://ioprun.com/. October 1 – 2 – Harvest Home Weekend Festival at Brookgreen Gardens in Murrells Inlet. Enjoy fall activities such as hay rides, pumpkin painting, entertainment, and food, with outdoor activities for kids to include sidewalk chalking, temporary tattoos, craft activities, and more. For more information call (843) 235-6000 or visit http://www.brookgreen.org/HarvestHome.html. October 2 – Fields to Families Anniversary Party at Pierce Park Pavilion on Daniel Island. Enjoy great food by Dish & Design Catering, a live auction, and lots of fun with proceeds to benefit this amazing non-profit organization. 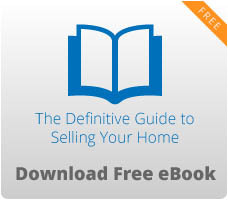 For more information call (843) 388-2487 or visit http://www.fieldstofamilies.org/. October 2 – Latin American Festival at Wannamaker County Park in North Charleston. Fill your day with the sights and sounds of Latin America with Salsa and Merengue music and dancing, authentic foods and crafts, and plenty of activities for everyone in the family. For more information call (843) 795-4386 or visit http://ccprc.com/1699/Latin-American-Festival. October 2 – Scrumptious Summerville Kitchen Tour in the Guilford Gates neighborhood in Summerville. View custom built homes while sampling food by noted Lowcountry restaurants and executive chefs, while enjoying live entertainment and beautiful arrangements by local florists and designers. For more information call (843) 875-1551 or visit http://www.dorchesterchildren.org/index.php/events/kitchen-tour. October 2 – Summerville Italian Festival in historic downtown Summerville. Enjoy your favorite Italian dishes and wines at this fun and tasty festival. For more information call (843) 412-5042 or (609) 784-4452 or visit http://www.summervilleitalianfeast.com/. October 6 – Clips Beer and Film Tour in Marion Square in Charleston. Watch a variety of hand made films (you can submit your own), enjoy craft brew, good food, and lots of fun! For more information visit http://www.newbelgium.com/events/clips-beer-and-film/charleston. October 6 – Music on Main: “Jim Quick” & “Coastline” at the Horseshow in North Myrtle Beach. Come out and enjoy a fall evening at this last of the Music on Main events for the year. For more information call (843) 280-5570 or visit http://parks.nmb.us/festivalsevents/concerts/music-on-main-concert-series/. October 6 – 30 – Fall Tours of Homes and Gardens in downtown Charleston. Thursdays through Sundays you will have the pleasure of seeing some of the most beautiful historic homes and gardens you have ever seen. For more information call (843) 722-4630. October 7 – Yam Jam in downtown Darlington. This event will include entertainment by “Jim Quick and the Coastline Band” and “The Recollections Band.” For more information call (843) 398-4000 ext. 103 or visit https://www.facebook.com/1558173624405448/photos/1781655442057264/. October 7 – 8 – Three Rivers Yard Sale through Williamsburg and Florence Counties with the central location being in Johnsonville. This is a 65 mile yard sale running along Hwy. 41/51 between Johnsonville and Hemmingway, Hwy. 261 between Hemmingway and Kingstree, Hwy. 52 between Kingstree and Lake City, and Hwy. 341 between Lake City and Johnsonville. For more information call (843) 386-3243 or visit https://www.facebook.com/JohnsonvilleAreaChamberofCommerce/. October 8 – Sweet Potato Festival on the Public Square in Darlington. In addition to lots of sweet potato pies you will find live entertainment, music, puppets, exhibits, food, arts and crafts, and more. For more information call (843) 398-4000 or visit http://www.darlingtonsconline.com/attractions_and_leisure/sweet_potato_festival.php. October 8 – Georgetown Bridge2Bridge Half Marathon, 12K, & 5K at the Clock Tower on Front Street in Georgetown. Following the race will be live entertainment at Francis Marion park with a beer garden being provided. For more information call (843) 545-9622 or visit http://www.bridge2bridgerun.com/. October 8 – Crowfield Plantation 5K Run and Walk at Middleton Park in Goose Creek. Enjoy a run or walk along the scenic trails of this lovely park. For more information call (843) 608-9897 or visit http://www.crowfield5k.com/. October 8 – Fall Festival at the Marguerite H. Brown Municipal Center in Goose Creek. Enjoy live entertainment, a DJ to play your favorite tunes, crafters, kids activities, a rock wall, and more. For more information call (843) 797-6220 or visit http://www.cityofgoosecreek.com/399/Goose-Creek-Fall-Festival. October 8 – Edisto and Beyond Tour at the Edisto Island Museum on Edisto Island. This amazing self-guided tour will take you to some of the most beautiful historic homes on the Island, as well as historic ruins and churches. For more information call (843) 869-1954 or visit http://edistomuseum.org/special-events-exhibits/. October 8 – Chili Cook-Off at the Coastal Discovery Museum on Hilton Head Island. Enjoy live entertainment, children’s activities, and of course a variety of good chili! For more information call (843) 689-6767 or visit http://www.coastaldiscovery.org/. October 8 – A Classical Octoberfest at the Memminger Auditorium in Charleston. Enjoy an evening of chamber music, with guest star award winning violinist, Karen Kim. For more information call (843) 763-4941 or visit http://chambermusiccharleston.com/index.php/th_event/ovation-concert-series-vienna/. October 8 – Browntown Museum Open House at the Browntown Museum in Lake City. Come out and see all of the work that has been done to preserve and upgrade the buildings on site of this small Lowcountry farmstead preserving history of the antebellum South. For more information call (843) 356-2586 or visit https://www.facebook.com/Friends-of-Browntown-345913780841/. October 8 – Blue Jay Festival in downtown Jefferson. This event will include entertainment by “Outshyne” whose lead singer is hometown artist Justin Anderson, as well as “Carolina Moon Pie,” “Megan Nicholson,” “The Robinson Family,” and many more, as well as other activities, food, and fun! For more information call (843) 658-7600 or visit https://www.seejeffersonsc.com/bluejaypromo.html. October 8 – Low Country Trail Half Marathon & 5K at Mullet Hall Equestrian Center on John’s Island. Enjoy a run through moss draped oak trees with native wildlife at this beautiful lowcountry venue, followed by a great post-race meal, cold beverages, and live entertainment. For more information call (843) 762-9965 or visit https://www.ccprc.com/1712/Lowcountry-Trail-Half-Marathon-5K. October 8 – 9 – Oktoberfest at St. Matthews Lutheran Church in Charleston. Enjoy a weekend filled with great German foods, ales, wines, and dancing, with children’s activities, a brat eating contest, and more. For more information call (843) 723-1611 or visit http://oktoberfestcharleston.com/. October 8 – 9 – Shrimpfest on the historic waterfront in Little River. Enjoy fresh local seafood provided by local waterfront restaurants, kids activities, 2 stages of live entertainment, stilt walkers, balloon artists, arts and craft vendors, and more! For more information call (843) 249-6604 or visit http://littlerivershrimpfest.org/. October 8 – 9 – Festa Italiana at Broadway at the Beach in Myrtle Beach. Fill your weekend with great Italian food, live entertainment, Italian souvenirs, arts and crafts, and more. For more information call (843) 333-7059 or visit http://www.sonsofitalymb.com/festivals.html. October 11 – Brewsday at Old Towne Creek County Park in Charleston. End your work day with some relaxation, live music by “Dallas Baker,” craft beer, yoga, and food by the Pic-A-Nic Basket Food Truck. For more information call (843) 795-4386 or visit https://ccprc.com/1803/Brewsday. 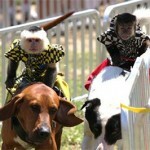 October 11 – 15 – Eastern Carolina Agricultural Fair at the Fairgrounds in Florence. It’s that time of year and this Fair is filled with lots of entertainment to include a banana derby, lots of rides, good food, exhibits, vendors, and more. For more information call (843) 665-5173 or visit http://www.ecafair.com/eca/index.asp. October 13 – Taste of Marlboro at the Bennettsville Community Center in Bennettsville. Savor samples of local chef’s signature dishes and drinks, while enjoying live entertainment. For more information call (843) 535-8184 or visit https://ccprc.com/1803/Brewsday. October 14 – Movies at McLean: “Hotel Transylvania” at McLean Park in North Myrtle Beach. Prepare yourself for Halloween with this fun and entertaining movie for the entire family! For more information call (843) 280-5584 or visit http://parks.nmb.us/festivalsevents/special-events/movies-mclean/. October 14 – 16 – South Carolina Jazz Festival in the Historic District in Cheraw. In memory of Cheraw’s own Dizzy Gillespie, over 20 regional musical artists from the Carolinas will perform, with the event also including a golf tournament, a Dizzy Gillespie birthday party, kids activities, and more For more information call (843) 537-8420 ext. 12 or visit http://www.scjazzfestival.com/. October 14 – 16, 21 – 23 – & 28 – 30 – Ghost Tours of Beaufort in downtown Beaufort. Take a carriage or walking tour through the historic district and hear the haunting tales of the area. For more information call (843) 524-4678 or visit http://capabeaufort.org/events/ghost-tours/. October 15 – Myrtle Beach Seafood Festival at the B&C Pavilion Place in North Myrtle Beach. Enjoy delicious seafood, live entertainment, a beer and wine garden, kids activities, and a corn hole tournament. For more information visit http://www.myrtlebeachboardwalk.com/. October15 – Komen Race for the Cure at the Family Circle Tennis Center on Daniels Island. This is the world’s largest and most successful educational and fund raising event for breast cancer ever created. For more information call (843) 556-8011 or visit http://lowcountry.info-komen.org/site/TR?fr_id=6459&pg=entry. October 15 – Loris Bog-Off Festival in downtown Loris. Enjoy a day filled with entertainment, vendors, food, and a chicken-bog cooking contest! For more information call (843) 756-6030 or visit http://www.lorischamber.com/loris-bog-off-festival.html. October 15 – Fall Arts and Crafts Fair at Centenary United Methodist Church in Conway. Come out for that one of a kind handmade item. For more information call (781) 267-5493 or visit http://ccumethodist.com/ccu-methodist/events/craft-fai?eventMonth=10&eventDay=15&eventYear=2016. October 15 – History Day at the Coastal Discovery Museum on Hilton Head Island. Learn about the history of the Island by trolley or by bike, and end the day at Hudson’s Seafood on the Docks for a Lowcountry Boil. For more information call (843) 689-6767 or visit http://www.coastaldiscovery.org/. October 15 – 16 – South Carolina State Table Tennis Championships at the City of Hanahan Gym in Hanahan. There will be 16 different events over the weekend with almost anyone possibly being eligible to play. For more information visit http://4ctt.com/sc16/scsc16.htm. October 15 – 16 – Wooden Boat Show on Front Street in Georgetown. More than 140 classic wooden boats will be displayed on land and water with children’s activities, maritime art, as well as food and music being provided. For more information call (843) 520-0111 or visit www.woodenboatshow.com. October 15 – 16 – Palmetto Campout at Huntington Beach State Park in Murrells Inlet. If you’ve never been camping, this is your opportunity to start, while having the opportunity to learn how to throw a cast net, pull a seine net, rig a crabbing line, and paddle a kayak. For more information call (843) 235-8755 or visit http://southcarolinaparks.com/products/10003865. October 15 – 23 – Historic Bluffton Arts and Seafood Festival in the historic district in Bluffton. This week long event will include lots of locally harvested seafood and culture and arts of the area. For more information call (843) 757-BLUF or visit http://www.blufftonartsandseafoodfestival.com/. October 16 – HALOS Oyster Festival at Harborside East in Mount Pleasant. Enjoy a relaxing afternoon of oysters, chili, hot dogs, refreshments, live entertainment, and a silent auction while enjoying the beautiful waterfront view. For more information call (843) 990-9566 or visit https://www.eventbrite.com/e/halos-oyster-roast-presented-by-dan-ryan-builders-tickets-27001813150. October 16 – Children’s Day Festival at the Park West Recreational Complex in Mount Pleasant. Kids will enjoy carnival rides, games, inflatables, live entertainment, wall climbing, face painting, and many more activities. For more information call (843) 884-8517 or visit http://www.comeonovermp.com/index.aspx?NID=113. October 16 – Bark in the Park Oktoberfest at Wannamaker Park in North Charleston. This costume friendly event will include pet exhibits, demonstrations, experts, entertainment, and more! For more information call (843) 795-4386 or visit https://www.ccprc.com/1791/Bark-in-the-Park. October 18 – Taste of the Town at the Myrtle Beach Convention Center in Myrtle Beach. Enjoy an evening of some of the best foods in the area, live entertainment, refreshments, and more! For more information call (843) 448-6062 or visit http://totmb.com/.